Tired of sending the regular e-card or e-greeting on Valentines Day to your loved one? 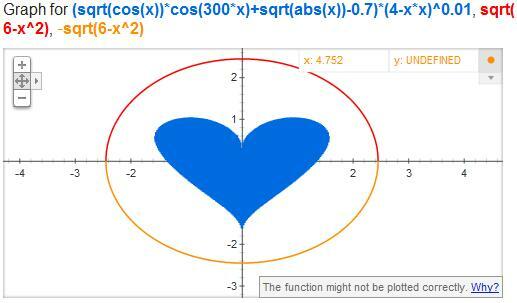 Then why not try this Google Equation of Love.It is a heart shaped graph of an equation, perfect for Valentines Day. Google tries to provide graph for any equation entered in to the Google Search, and for the equation given below, you get a heart shaped graph, unfortunately the color of the area under the curve is not red.So try sending this search query to your loved one, instead of an ordinary greeting card.